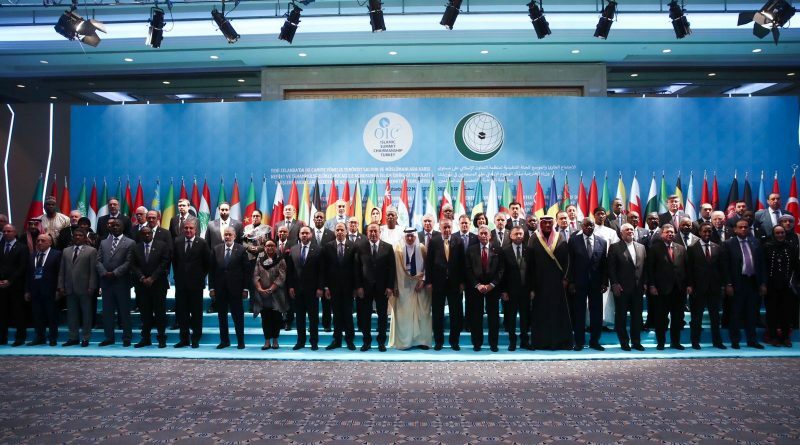 The Organization of Islamic Cooperation (OIC) held an emergency open-ended meeting of the Executive Committee at the level of Foreign Ministers on 22 March 2019 to discuss the terrorist attack against innocent Muslims in two mosques in Christchurch city, New Zealand. The meeting, hosted by the Republic of Turkey, and was attended by New Zealand Foreign Minister Winston Peters. The Turkish President RecepTayyip Erdogan delivered a speech in the opening session in which he warned against the rising tide and spread of Islamophobia in societies, stating that the incident of New Zealand may reoccur if its causes are not addressed. 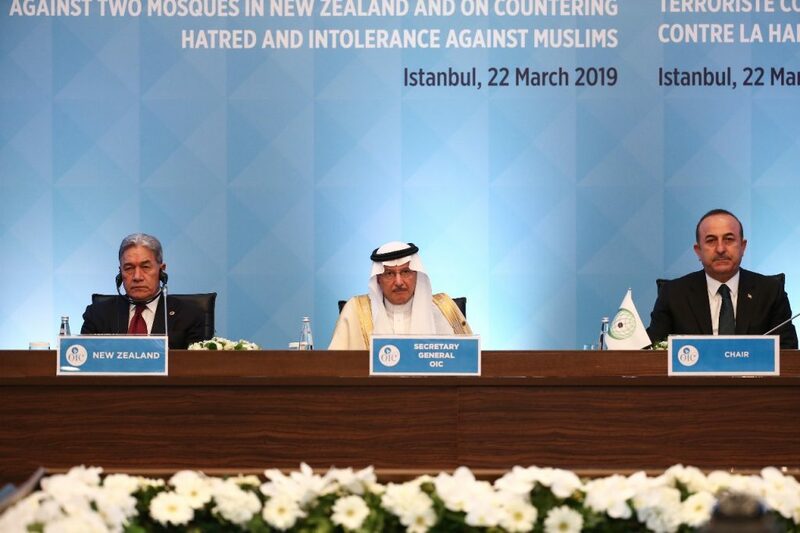 For his part, the OIC Secretary General, Yousef A. Al-Othaimeen delivered a statement in which he conveyed his heartfelt condolences to the families ofthose whose lives were claimed by treachery and terrorism in the two mosques in New Zealand, appreciating highly the efforts by the Government of New Zealandfor embracing the Muslim community in their country at a defining moment, which is well appreciated by the peoples of the world, Muslims and non-Muslims alike. The Secretary General indicated that “Intolerance on the basis of ideology and racism have emerged as a major threat to global peace and security in our world today. Amidst these conditions, Islam and Muslims in many countries are subjected to defamation of their religion and humanity. He went on to say that according to the reports of the OIC Islamophobia Observatory, hatred and intolerance against Islamhave, in the last few years, reached an alarming level with growing frequency. 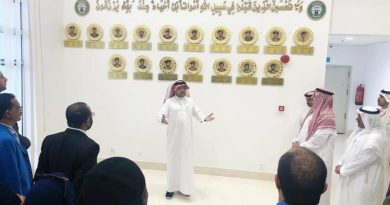 Al-Othaimeen stated that “the entire world was shocked by the barbaric acts of aright-wing terrorist who killed about 50 innocent Muslims and wounded scores as they were performing their prayers peacefully in a place of worship”. He said that “this wanton terrorist incident has sent a powerful message to the world and to us all that hate speech, intolerance and Islamophobia are a clear danger that threatens the security of stable communities, and that this incident shows that terrorism has neither religion, race nor nationality”. 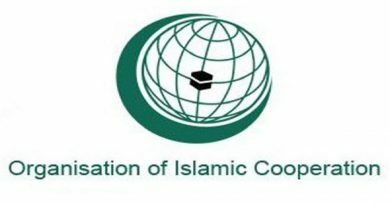 The Secretary General affirmed that OIC member states know the danger of terrorism and have repeatedly told the world that terrorism has no religion or nation. A high-level meeting on dialogue among religions, cultures andcivilizations was held at the United Nations with the initiative of the Kingdom of Saudi Arabia. The King Abdullah Bin Abdulaziz Interreligious and Intercultural Dialogue was established in Austria. The Kingdom of Saudi Arabia and other Islamic countries have taken several initiatives on moderation and on combatting terrorism in general. These include the establishment of ETIDAL Centre in the Kingdom of Saudi Arabia, HEDAYA in the United Arab Emirates, and efforts by many other states such as the Arab Republic of Egypt. They also include the efforts by the Department of Dialogue and outreach and ‘Sawt al-Hikmah’ of theOIC General Secretariat. He emphasized that hate speech based on far-right ideology targets not only Islam and Muslims but also Western liberal democracies, and that if hate speech is not curbed urgently and effectively, chaos will strike stable countries and terrorize peaceful people. He thus underscored the need for firm legislations on cyberspace, which has become an arena for breedingextremist ideas. Other ministers and representatives of Member States delivered statements in the meeting and expressed their condemnation of terrorism, calling for the need to counter Islamophobia and to enact laws and legislations that would stop the posting of utterances of hate, racism and extremism against Muslim communities across the world. In the same vein, the Foreign Minister of New Zealand, Winston Peters, said that his country experienced a black day in its history following the terrorist incident. He stated that the ministerial meeting is being held amid difficult circumstances to respond to this terrorist attack, and that the perpetrator came from outside New Zealand and will face the most severe sanction. New Zealand Foreign Minister affirmed that investigations are underway and that some procedures are amended to prevent what happened in Christchurch from happening again in the future. He commended the interaction of New Zealand citizens, their sympathy with the families of the victims and their insistence on their unity after this coward act attempted to undermine their stability. 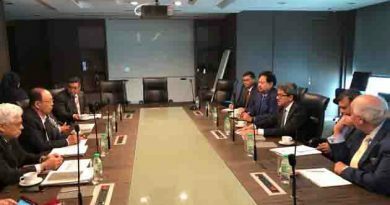 The Ministerial meeting called on the UN Human Rights Commissioner to establish an observatory for Islamophobia, and religious violence against Muslims. The Final Communiqué called on the UN Secretary General to convene a special session of the UN General Assembly to declare Islamophobia as a form of racism, and appoint a special rapporteur on combating this plight . It also called on the UN and other regional and international organizations to declare 15 March an international solidarity day against Islamophobia. 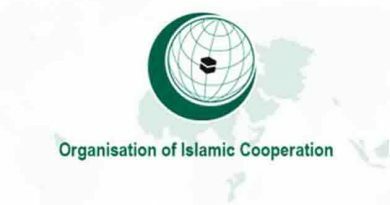 The Final Communiqué requested the OIC Secretary General to communicate with UN mechanisms to expand the scope of the resolution 1267 on sanctions to include individuals and entities associated with extremist racist groups. ← New Zealand Prime Minister Jacinda Ardern announces sweeping ban on military style semi-automatic guns, six days out from terror attack.